The Worse Fashion Trends in History! You might have spent some time regretting some of your recent fashion choices, but your choices are probably not nearly as bad as some that have been made by fashion designers in the past. These fashion “trends” of the past may seem bizarre on first glance, but when you take a closer look at them things start to get really weird! 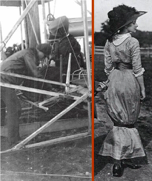 Many of the fashion trends in the past have focused on making women more appealing, but they were also used for more nefarious purposes. Some of these fashion trends were actually used as a way to control both women and men alike. 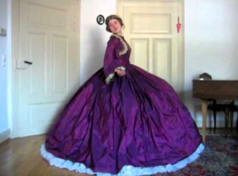 The crinoline was a gaudy hoop-like dress worn in the 19th century. They were usually made from wood or horsehair, but sometimes they were made from steel! It was fashionable for women to have wide hips in the 19th century, and the crinoline was meant to accentuate the hips. Kim Kardashian would be jealous! Unfortunately, many women died wearing these contraptions, as they could not escape through the doorway when there was a fire. Women wearing crinolines would also get caught up in gusts of wind and be tossed off cliffs! They would even get caught in carriage spokes. What a way to die! 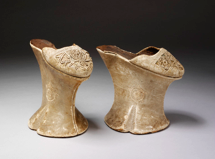 Chopine shoes were popular with Venetians in the 16th and 17th centuries, as they were invented to help women walk through muddy streets. It was also fashionable for people to be tall in theoe times, so the chopine helped people gain several inches of height. 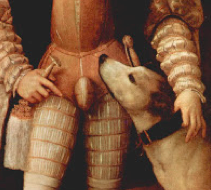 Codpieces were invented so men could prove the power of their penises. Kind of like the Monster Trucks or sports cars of today! They were usually made out of wood (ahem!). This was popular during the Elizabethan era. Women would bombast their sleeves to create a sort of “leg-of-mutton” arms. Men would bombast their belly areas to create the illusion of prosperity, as men who were slightly overweight were supposed to be wealthy. 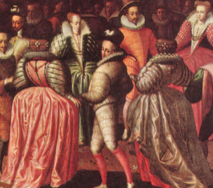 Men have always liked to control women throughout the ages, but the hobble skirt really took the cake! The skirt itself, otherwise known as the “speed limit skirt”, was designed to specifically slow women down and prevent them from taking large steps. The skirt was designed to “hobble” a woman, much like the same way that an animal’s legs are tied together to keep them from running away. And one of the most bizarre fashion trends on this list was having black teeth. 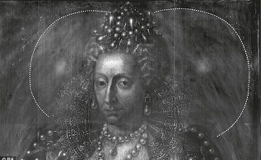 This weird obsession stemmed from Queen Elizabeth I, as she had a thing for sweets and her teeth were black and decaying. During those times women would purposely blacken their teeth to prove they had enough money to buy sugar! Brunson Stafford is the CEO and Founder of WBS Public Relations.